Let us be the ones to help you restore your property to pre-disaster state. If water has invaded your home, chances are you this was unexpected. You may be feeling stressed, and have no idea who to call. Luckily, Fire Water and Storm Pros of Ohio is just a call away. We have been in the business for 30 years, helping Ohio residents restore their property to pre-disaster condition. We make it our number one priority to restore your property in a time-efficient manner. Whether the damage was caused by faulty plumbing or a freak rainstorm, we can fix the issue quickly and efficiently. Our IICRC certified technicians will be at your location within the hour to assess the damages done to your home, and then begin the process of removing the water, and fixing anything that has been destroyed by it. 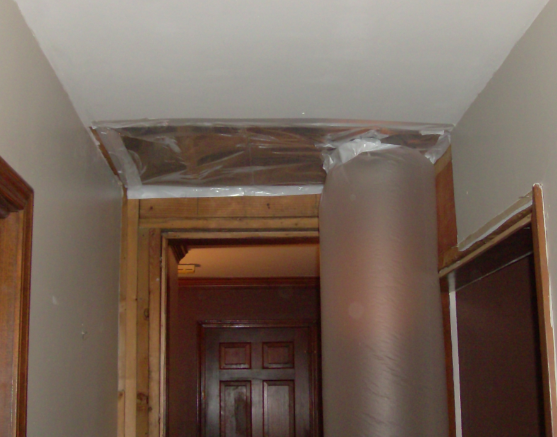 When dealing with water damage, there is more than meets the eye. That is why it is always a good decision to call the professionals in this situation. We also provide flood damage cleanup, storm repairs, fire, and basement cleanup services for Dublin Ohio property owners. Certified techs to help with your disaster recovery. Home owners insurance policies do not cover flood damage, however some cases of water damage may be covered under your home owners policy. For example if your homes roof was damaged by strong winds then you suffered water damage as a result your insurance policy would generally cover the water damages. If your pipes burst during one of Parma, Ohio’s cold winters and this causes water damage, Yes, you’re covered for water damage from burst pipes, but your policy won’t cover you if you’ve left the house unoccupied and turned off the heat.If water has leaked from your pool and into your basement this is one of the few basement flood cases covered by standard home owners policies. If your washing machine over flows into your home causing damage this may be covered, if it was sudden and accidental damage and not a result of failure to maintain your washer machine. A rule of the thumb for figuring out if your water damage is covered by a standard home owners policy is: for home owners insurance purposes, covered water damage is considered to occur when water damages your home before the water comes in contact with the ground and this damage was not a result of failure to maintain your home or appliances. We emergency water damage cleanup and restoration of Dublin, Ohio and Franklin & Union County has been cleaning up and restoring homes damaged by water for over 30 years. We keep open 24 hours a day, 7 days a week, 365 days a year for our customers convenience, because we know that water damage needs to be dealt with quickly. Customer satisfaction and service is our hallmark,. We offer out clients help with any insurance claim they may have or offer direct billing at your option. Our IICRC certified water damage and clean up technicians can in most cases respond to your call for help and arrive at your home within an hour of your call. We employ the best equipment in the industry to get the job done quickly and effectively, saving you money on the services being performed. We have the best water extraction and rapid drying equipment to be found, which will quickly restore your home back to working order. We can even restore damaged personal belongings that you have which may have suffered water damage, at out off site content restoration facility. If you have just experienced water damage, call the professionals at We today.